I doubt there is a Biblical concept more misconstrued in the mind of the believer than the idea of heaven. Because their view of worship is askew, the notion of endless worship in heaven is an unpleasant concept to so many, though they are not likely to verbalize it. For them, the thought of worshiping God forever paints a mental image of a metrosexual worship leader singing the same seven words of a chorus in repetition for all eternity. Therefore, they dread an eternity of worshipping because they assume we will spend it singing. NEWSFLASH: worship does not equate to singing. Astoundingly, many Christians incorrectly assume a direct correlation between making musical sounds with the mouth and expressing reverence and adoration to Jesus Christ. My fear is that those who operate under this false assumption miss the joys of a true life of worship here on earth. Worship is not a specific act so much as it is a lifestyle. Through the lens of worship, the trivial and mundane are transformed into beautiful acts of veneration and homage to the one true God. What about physical intimacy? yes. "And whatever you do, in word or deed, do everything in the name of the Lord Jesus, giving thanks to God the Father through him" (Col. 3:17). “I know a man in Christ who fourteen years ago was caught up to the third heaven—whether in the body or out of the body I do not know, God knows” (2 Cor. 12:2). Here, Paul is boasting about this revelation he had where he was granted a vision of the concealed realm where God dwells (heaven). I think it was Paul’s brief glimpse into the eternal that empowered him to see past the temporal and fight the good fight, finish his race, and ultimately keep the faith. Paul wrote that while we dwell here on earth we see all things in a “mirror dimly,” (1 Cor. 13) because sin has pervaded every fiber of our being and conscience, “but then,”at the second coming of Christ, we will see fully,“face to face.” You see, as long as “we are at home in the body we are away from the Lord” (2 Cor. 5:6). That’s why Paul considered it gain if he were to die. I guess I still haven’t answered the question: what will worship look like in heaven? If all truth is indeed God’s truth, then I think ol’ Freud got this one right. When we leave these earthly tents, we will go home to our Lord, to a place where the streets are paved with gold. This means that, what is most precious to us here on earth, we will gladly tread on in His kingdom. For He, Christ, is our greatest treasure, and we will joyfully work for Him without “painful toil” (remember that God is the author of vocation, see Genesis 2:15) and without the shroud of sin clouding our sight to see our true boss, the King. Essentially, heaven will be a functioning city with Jesus as the King over all. To sum it up: in heaven, we will worship God for all eternity; not only with our voices, but by living, breathing, moving, eating, and working, with thankfulness in our hearts to our Lord and Savior, to whom we belong. Q. What is the chief end of man? A. Man’s chief end is to glorify God, and to enjoy him forever. ___________ 1 Matthew Henry, Matthew Henry’s Commentary on the Whole Bible: Complete and Unabridged in One Volume (Peabody: Hendrickson, 1994), 1 Co 10:23–33. 2 Peter Kreeft. 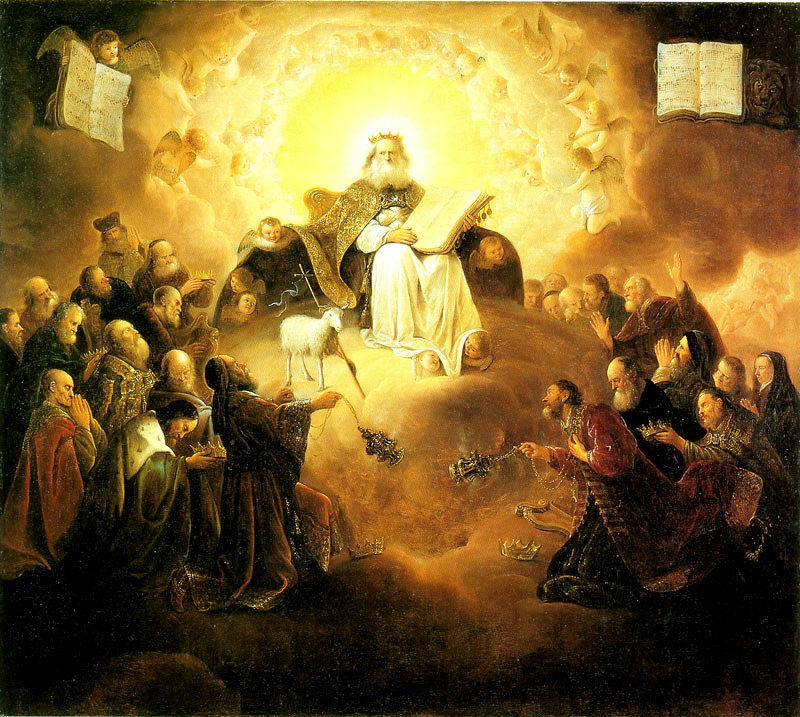 “What Will Heaven Be Like?”, http://www.christianitytoday.com/biblestudies/articles/theology/090128.html (accessed October 24, 2012). 3 Grudem, Wayne; Grudem, Elliot (2009-03-10). Christian Beliefs: Twenty Basics Every Christian Should Know (Kindle Locations 2057-2060). Zondervan. Kindle Edition.